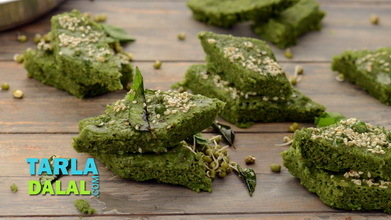 Jowar is an ancient grain valued for its wholesomeness and unique health benefits. 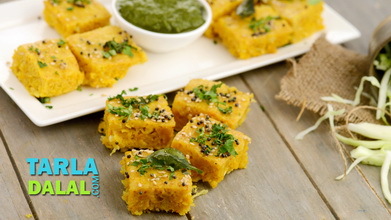 It also has an interesting, rustic flavour that is sure to go down well with everybody, especially when prepared interestingly. 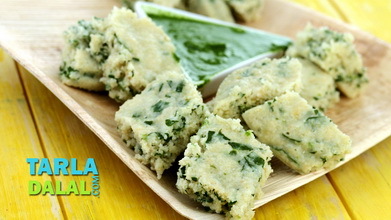 Here, we have prepared the famous Gujarati snack, muthia, using jowar flour along with other ingredients like grated cabbage, curds and flavouring ingredients like green chillies and ginger. 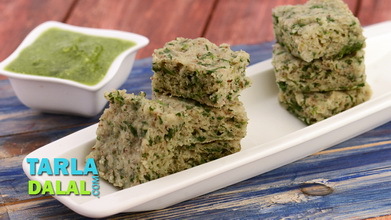 Since the dough is steamed before tempering, the jowar flour also becomes easily digestible. 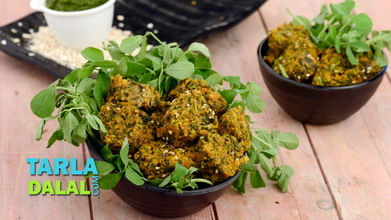 Enjoy these irresistible Cabbage Jowar Muthias with green chutney. 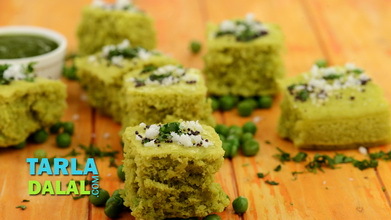 Combine the cabbage, jowar flour, curds, coriander, lemon juice, ginger-green chilli paste, garlic paste, turmeric powder, ¼ tsp of asafoetida, sugar and salt in a deep bowl and knead into a soft dough using approx. ¼ cup of water. Divide the dough into 2 equal portions and shape each portion into 125 mm. (5") cylindrical roll. Arrange both the rolls on a greased sieve and steam in a steamer for 20 to 25 minutes. Allow it to cool completely. Once cooled, cut each roll into 13 mm. (½”) thick slices and keep aside. Heat the oil in a broad non-stick pan and add the cumin seeds. 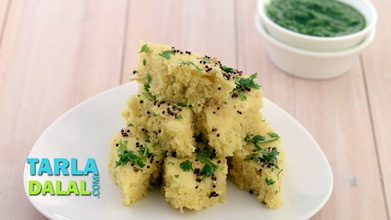 When the seeds crackle, add the remaining ¼ tsp of asafoetida and curry leaves and sauté for a few seconds. 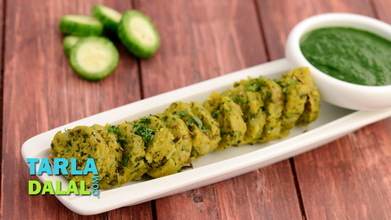 Add the sliced muthias, mix well and cook on a medium flame for 2 to 3 minutes or till they turn light brown in colour, while tossing gently and occasionally. 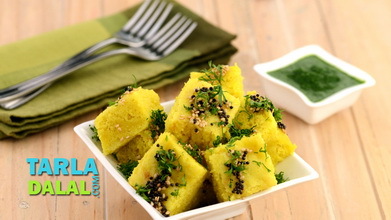 Garnish with coriander and serve hot with green chutney.